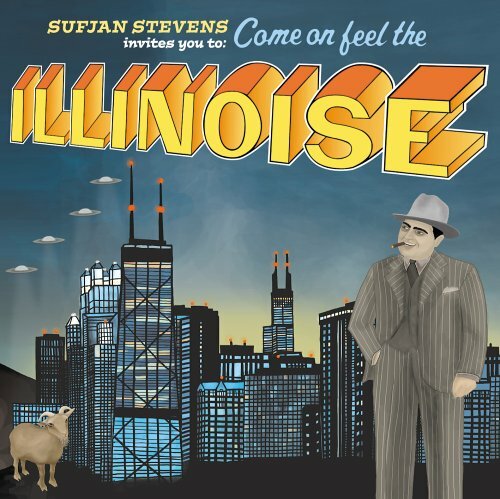 The Rilality for Album of the year goes to… Sufjan Stevens Illinois. I know it came out in 2005, but with every critic going bonkers over it back then, I decided I would hate it circa 2005-2006. In 2013, I realized I was wrong. Runner up: Secret Chiefs Book of Souls Folio A. The most original album of the year by a mile. Folio A, like all Secret Chiefs’ albums, has very few lyrics. So, if you’re a lyrics guy, this album isn’t for you. It does have some of the most complex arrangements I’ve heard on an album since… the last time Trey Spruance decided to put out a Chiefs’ album in 2004. In the age of iTunes, it appears that either it’s difficult for some artists to make complete albums, or it’s become increasingly difficult for me to listen to them, because iTunes has spoiled me into making my own shuffle albums out of the artists’ best individual tunes. ITunes has also opened my eyes to the filler that an artist loads his albums with, and I don’t listen to those individual tunes as often as I once did, just because they’re from “my guys”. 2013 was also a year where I moved past some of my guys, and once you’ve made the move past some of your guys, it’s difficult to go back. I used to hate it when people told me that they’ve just moved past Led Zeppelin. “They’re great and all, and I spent years listening to them, but I’m just done with them.” How can one move past Led Zeppelin I wondered. Then I did, and then I moved past Radiohead, Alice in Chains, Verve, and Soundgarden. The latter three groups regrouped, and I tried to get back into them, but I realized that in some manner that’s hard to describe, I’ve moved on. I moved on in a manner that if they came out with the most brilliant album they, or anyone else, could produce, I wouldn’t think it wasn’t as good as the body of work they produced back when they were my guys. The groups I listen to now may not be better, in the truest sense of the word, but they’re different, and when you move past a group you need something different. 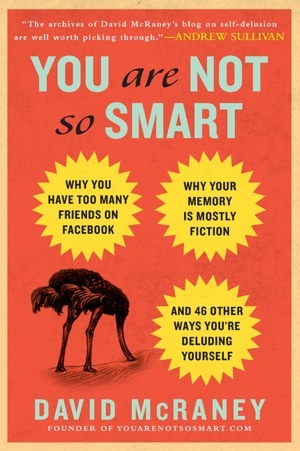 The Rilality for Book of the Year goes to… You are Not so Smart by David McRaney. Again, it came out in 2011, but I’m not a professional critic, and as such I’m not held to time constraints. Runner Up: I Wear the Black, by Chuck Klosterman. I disagreed with Klosterman as often as I agreed with him, and that’s exactly what everyone should want in a book. Klosterman is not meek when offering his opinions, unless he is criticizing staples in our society… like Bruce Springsteen. The Rilality for the book of the year, next year, will probably go to: Going Clear by Lawrence Wright. The award winning writer of the terrorism tome The Looming Tower may have even topped that book with this one. I’m about halfway through this exposé on the religion, called Scientology, and I am obsessed. Wright is a ‘Just the facts ma’am’, Hemingway type of writer. For those that enjoy writing more in the Doris Kearns Goodwin mode, you may not enjoy this style of writing. For those curious about this religion –that were too young when the actual revelations occurred– this book is an account that is proving to be invaluable to this ever-curious reader that enjoys the ‘just the fact ma’am’ Jack Webb approach. There are very few fiction writers that shocked me with their modus operandi in 2013. The last one to do so was Chuck Palahniuk. He was shockingly good, but something shocking isn’t always good. It may be that Palahniuk, and all other fiction writers have simply tripped my tripwire so often that I cannot be shocked by their prowess anymore, but I couldn’t find any piece of fiction shockingly well written in 2013. 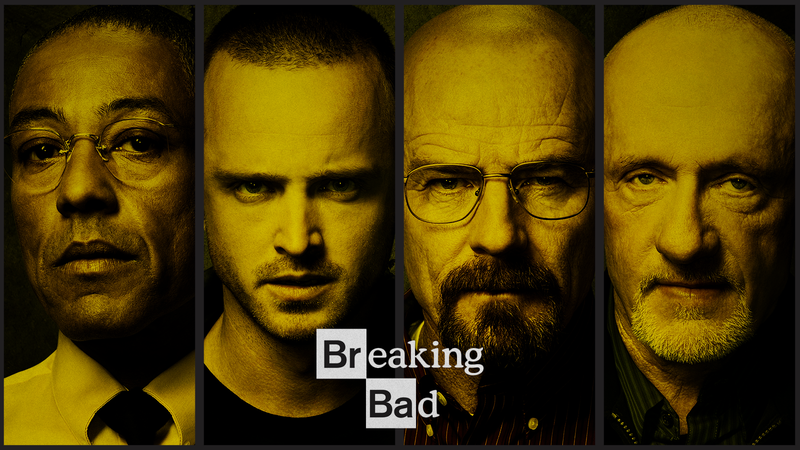 The Rilality for TV show of the year goes to… Breaking Bad. I would love to tell you the line that put the show over the top for me. I refer to it as the line, because the more I digested the subtext of what Walter White just said, the more my jaw continued to drop. Entertainment Weekly, Rolling Stone, and TV Guide focus on the moments of TV, but I focus on lines, and this was the best of the year in my humble opinion. It was such an incredible line that I wondered if Vince Gilligan, and his writers, had been sitting on the line for the past few seasons. I also wonder if Gilligan used the line in his pitch to the networks, as a way of summing up the series. I would love to tell you what this line is, but I don’t want to ruin it for all those people just now watching the series on Netflix, or DVD. The line needs to be heard, chewed, and digested individually for maximum effect. The line was so elemental to the series, that it separated Breaking Bad from all the gritty, new age style TV shows I have loved over the years, including, but not limited to, The Sopranos, Mad Men, and Justified. The other characters—Marshall Raylan Givens, played by actor Timothy Olyphant, and Chief Deputy U.S. Marshal Art Mullen, played by Nick Searcy—are also great, and dynamic, and almost as impressive, but the deliniations between great movies and shows is always the bad guy, and there aren’t any better on TV today than Goggins’ Boyd Crowder. 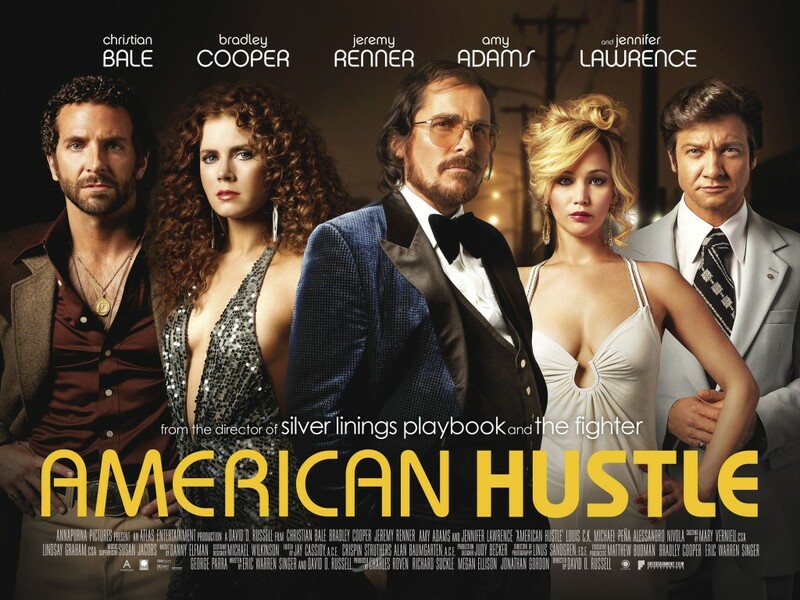 The Rilality for movie of the year goes to… American Hustle. The movie wins based largely on the fact that I didn’t go to a lot of movies in 2013, and I wasn’t overly impressed with those I did. Bradley Cooper turned in a good performance, but Christian Bale did something different. It seems he does in just about every role he accepts, and that makes him the current, best actor in movies today. Runner up: Blackfish. I may be biased in this area, since I’ve loved killer whales, Orcas, for most of my life, but when I started doing research on the elements in this movie, I knew that the movie makers reached me on a level that most don’t. I’ve watched too many movies to continue to enjoy the important movies that I’m supposed to like, and I no longer watch actor vehicles that are done to impress Oscar voters. Most dramas seem to be as reductive in their problems as they do in their solutions. Action movies have a way of leaving me with the idea that I’ve already seen this movie so many times before. I see the formula from another action movie that influenced this movie, while I’m watching it. I spend the entire ninety minutes trying to shake off the idea that the original was better. This may give the reader insight into my age. It may also give readers some insight into what my fellow movie watchers, and TV show watchers, go through with me, but I have a problem shutting it off for just a little bit to enjoy most modern movies. Comedy, in general, is so derivative, and subjective that most movies now feel the need to go over the top to make their mark. Over the top can be funny, of course, but it’s difficult to maintain that level for an entire movie, and most of them do not do this well. This may not be the best “best of” list for those seeking the best ofs, and if you want to consider it the cynical “best of” have at it, but I don’t consider most entertainment vehicles “must have, must see, must read, and must hear” anymore, and I think that the marketing departments that promote their vehicles in this manner tedious.